Did you know in some countries they take the entire month of August off? Must be nice. Chances are you’ve still got a few days of paid time off in your basket, so do as the Romans do and take some time this August to mellow out. Maybe see a new place or two. All over the world, there’s great weather, festivals, and events that make August a perfect time to visit -- including plenty of spots here in the USA. From the mountains of Vermont to the deserts of Dubai, we narrowed down the coolest places to travel this month. So, yes, Japan is a lot of territory to cover. 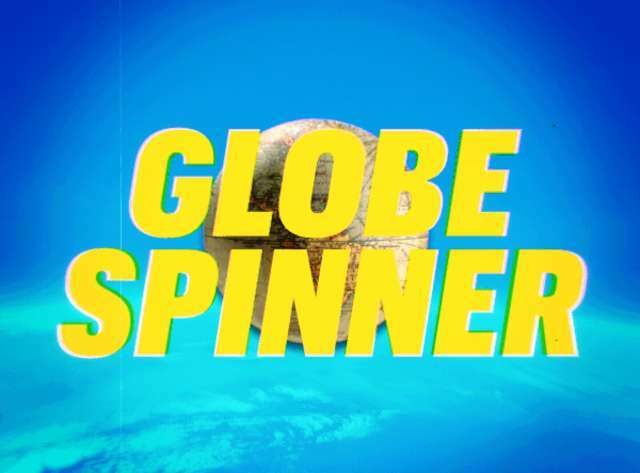 But no matter where you opt to go, there’ll be something cool going on this August. For starters, this is the tail end of hiking season on Mount Fuji, where ambitious travelers can scale the 12,388-foot peak for a sunrise view over Tokyo. And for less experienced climbers, InsideJapan offers guided tours that skirt many of the backups near narrow passes that can get clogged in the height of summer. 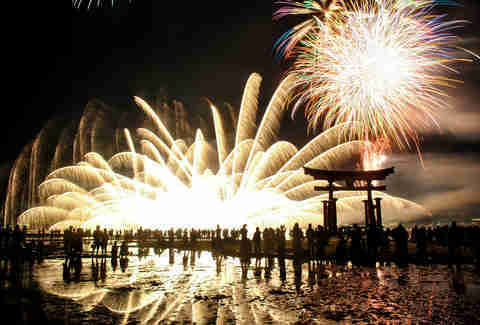 Firework festivals are a trademark of the Japanese summer, and the grandest of them goes down on August 25 in Miyajima. This little island an hour from Hiroshima will launch 5,000 fireworks -- 200 from the water -- creating a spectacle that draws over 200,000 people to the shores of the nearby cities. Meanwhile in Niigata, you’ll find the largest art festival in the world at the Echigo-Tsumari Art Triennale. It runs from July 29 to September 16, and this year features 50 site-specific installations that examine how architecture interacts with the natural world. The summer heat in the Nevada desert can be, well, unpleasant. 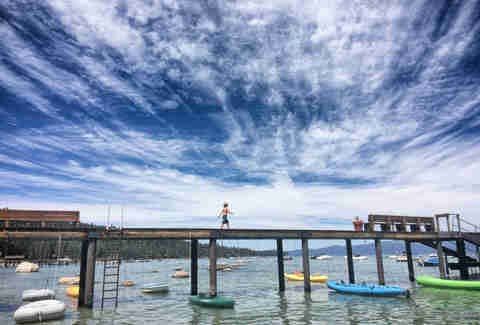 But the state’s most highly underrated city also happens to be right next to the cooling waters of Lake Tahoe. In August you’ll find the summer party in full swing here, when watersports on the lake and hikes through the surrounding mountains lead into leisurely afternoons on the beach. The highlight of the month is August 7-12 when one of the biggest classic car shows in America goes down at Hot August Nights. More than 5,000 classic cars converge on the city, and a nightly music festival caps off full days of activities around Reno and Sparks. This year’s headliners include Eddie Money and The Greg Kihn Band. This is another country where there’s so much badass stuff happening in August, it’s hard to drill down just one place to go. 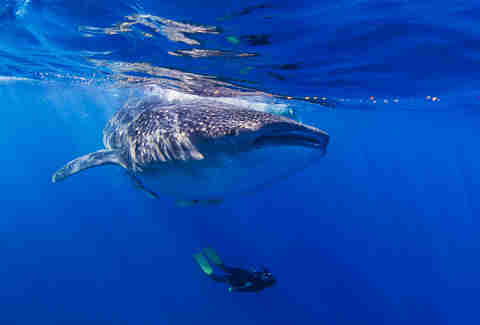 For starters, it’s the height of whale shark season off the coast of Cancun -- which means you can casually find yourself snorkeling amongst these mysterious gentle giants, some of which are the size of a freakin’ school bus. If you’re looking to stay in town, the Marriott Cancun is handing out $100 in resort credit every day you’re there, or skip the heavy Cancun crowds and stay on Isla Mujeres instead. Down the road in Riviera Maya, a new Bohemian market opens at Salum, which’ll feature a Mexican craft beer bar, a beach bar, six restaurants, and a sprawling Mexican Market. In Riviera Nayarit, the Masters of the Kitchen festival runs from August 8-11, welcoming chefs like Gilles Epie and Elizabeth Falkner for a week of lavish dinners and cooking demos. And if you’re looking to learn Spanish on your Mexican vacation, a luxurious new Spanish immersion program starts this August in Mexico City, August 5-12 and 19-26. The Fluenz Spanish Immersion program puts you up in an opulent city mansion for six days, where you’ll get the same language training the US military has been using for years, plus homemade meals and visits to local art destinations. Forty-one years ago this August, we lost the King of Rock and Roll. The city he loved commemorates his death with Elvis Week from August 9 to 18 (yeah, Elvis Week is longer than a week, WHAT OF IT?). The festival includes live performances on the Graceland Soundstage at the new Elvis Presley’s Memphis entertainment district, located across from his famous home. Also on the schedule is a “tribute artist” competition, panel discussions, auctions of Elvis memorabilia, and field trips to his birthplace in Tupelo, Mississippi. 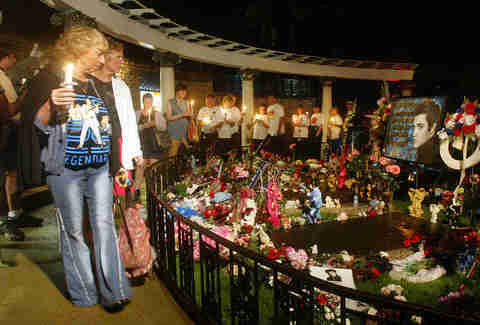 The whole shebang peaks with a candlelight vigil at Graceland on the 15th, where thousands of fans line up to pay tribute to Elvis’ grave in the meditation garden. 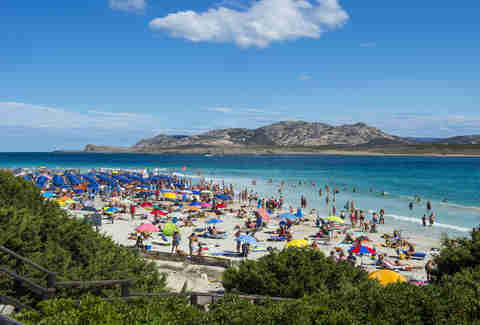 August is an off-month in Italy, and many leisure-loving Italians choose to spend their vacation on the Mediterranean island of Sardinia. 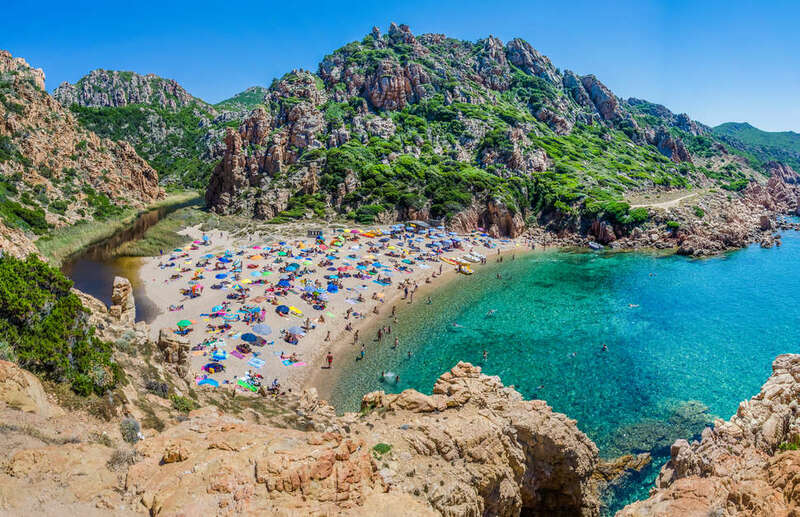 Home to some of the most stunning beaches in the country -- Cala Goloritzé for one, Costa Paradiso for another -- Sardinia is a paradise of golden hills and crystal clear water. Italians spend their days relaxing on pleasure boats in hidden coves, partying in beachside day clubs, and generally avoiding the hordes of tourists clogging up the mainland. August 15 brings the festival of Ferragosto, where locals throw lavish feasts, and if you’re lucky enough to make friends with some you’ll be treated to one of the most delicious meals of your life. If you’re more of a winter person and think skiing in August sounds downright delightful, head to the adventure capital of the world on the South Island. 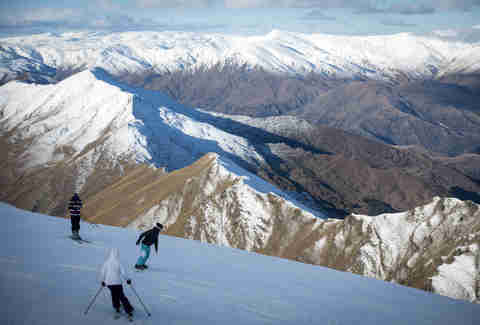 Queenstown boasts four world-class ski resorts in the peaks of the Southern Alps, with terrain suited for everyone from small children to advanced freestyle skiers. You can kick back and enjoy the alpine views at Clicquot in the Snow from August 2-5, Veuve Clicquot’s epic après-ski party at the new QT Queenstown on the shores of Lake Wakatipu. Queenstown is also the birthplace of bungee jumping; adrenaline junkies can leap off the Kawarau Bridge even when the weather is a little chillier, or go check out the snow-capped majesty of the fjords in Fiordland National Park. From August 5 through 10, folks from all of the country pour into the Sandhills region of north-central Nebraska for the Nebraska Star Party, a “lovely offbeat annual Woodstock for amateur astronomers.” The premise is simple: this region has less light pollution than probably anywhere else you'll go in the country, which is why people have gathered here each summer for the last 25 years. Just pick up a Park Entry Permit, and if you have a telescope, bring it; if you don’t, try to at least cop some binoculars, but even if you’re a total amateur you’ll be greeted by plenty of people with high-end equipment who can also tell you what you’re looking at. 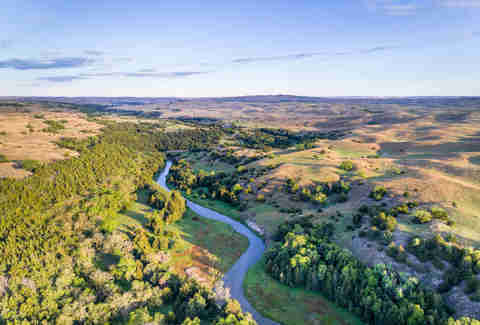 Beer and wine were once prohibited in state parks, but they are not now. Spend daylight hours tubing and kayaking around Smith Falls. Come nightfall, you can and should camp, but there are also plenty of hotels to stay in nearby Valentine (the closest town, about 30 miles northeast). You should go there anyway, at least once, for dinner at the Peppermill & EK Valentine Lounge. If you are a person who eats steak, get the steak. They say Seattle has two seasons: winter and August. 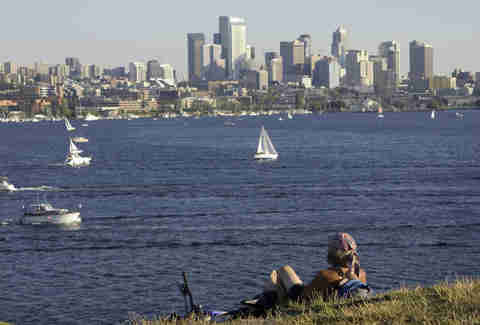 And there is quite simply not a more beautiful city in America than Seattle when it shines during its brief, glorious summer. The deep-blue waters of Puget Sound and Lake Washington reflect the emerald hills of the city and the Cascade and Olympic Mountains in the distance. Taking urban hikes through Discovery Park is one of the best way to catch the views, or head south to Mount Rainer and walk through the wildflower-filled fields that surround the most iconic mountain in the state. The Mariners seem to be playing decent baseball this year, which makes afternoons at Safeco Field good for something other than nice views of the skyline. August 31 is the first day of the annual Bumbershoot Festival at Seattle Center, headlined this year by the Chainsmokers and Lil Wayne. Look for this California-sized country between Argentina and Brazil to become a quiet South American hotspot. Here you can take breathtaking hikes to the top of Cerro Yaguarón for a sunset, or visit one of the most beautiful churches in the Americas at the base of the mountain. It was hand-carved in the 1880s and is perfectly preserved, if relatively unknown to tourists. You can also drive through the wetlands of Neembucu, which is home to almost 300 bird species. 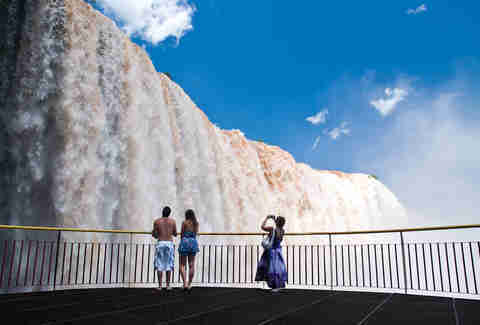 Paraguay also gives you access to Iguazu Falls -- both the Argentinian and Brazilian side of the falls are accessible here. Resources for traveling through the country are still somewhat slim, but if all this sounds enticing, Intrepid Travel just launched a new Paraguay expedition that leaves August 20. The 12-day trek hits all these highlights, plus sets you up for two days in San Rafael National Park, where you will take guided night walks and day trips through the endangered Atlantic forest. Put food waste out of your head for just a moment, and head to one of the most bizarre festivals in the world. 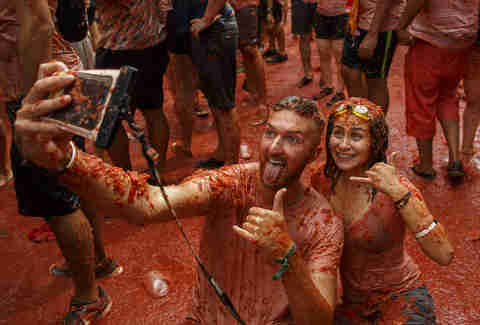 August 29 marks the La Tomatina festival, the biggest food fight in the world, when normally-sane Spaniards chuck tomatoes at each other for an hour or so. It’s been a thing since 1945, and up until a few years ago drew nearly 50,000 participants ready to chuck fruit at perfect strangers. Though the event has never gotten out of hand, it’s now limited to 20,000 ticketed participants. The fun gets going when water cannons fire into the square, and once the hour-long free-for-all is over, fire trucks hose down the plaza as if nothing ever happened. Summer in New England is about as perfect as perfect gets, and an ideal time to hit the green mountains of Vermont. Take a boat out and fish on Lake Champlain, hike above the tree line to the top of Mount Mansfield, or play some of the most challenging mountain golf courses in the world. August 11 brings the Spruce Peak Folk Festival, a celebration of folk music, and from the 18th through the 20th you can see up and coming tennis stars at the Stowe Mountain Lodge Tennis Classic, headlined by 20-year-old phenom Frances Tiafoe. Relax between matches at the lodge’s brand-new beer garden with local craft beers, or hit the Linehouse, the best small-town bar in the state. Nashville might have the official “Music City” moniker, but in August, Chattanooga has more music going on than anywhere in the South. 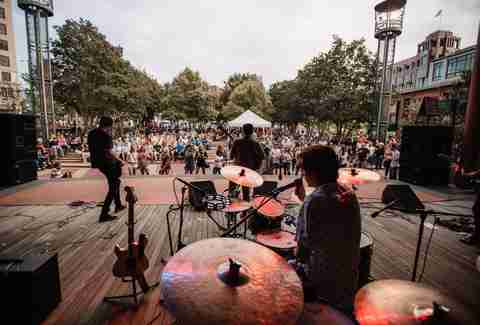 Friday nights bring the Nightfall Concert Series, where you can enjoy the cool Tennessee evenings with live concerts in the heart of Downtown. If you’re into bluegrass the Rock City Summer Music Weekends Festival happens all month, with old-time folk and country music joining the lineup at shows held atop Lookout Mountain every weekend. August’s music lineup finishes strong with the start of the Levitt AMP series, a free 10-week concert series with free shows on the lawn of the Bessie Smith Cultural Center ranging from jazz to country to Southern rock. At first glance you might say “Dubai in AUGUST??? Maybe if you’re into instant basal cell carcinoma!” But seeing the futuristic wonders of Dubai is mostly an indoor pursuit, and in August you can do it cheaper, with a lot fewer people to deal with. The luxe accommodations are significantly more affordable this time of year, and a cooling dip at Jumeirah Beach will find you sharing it with a fraction of the crowd. The famous indoor ski slope gives you the world’s only opportunity to go alpine skiing on 115-degree afternoons. 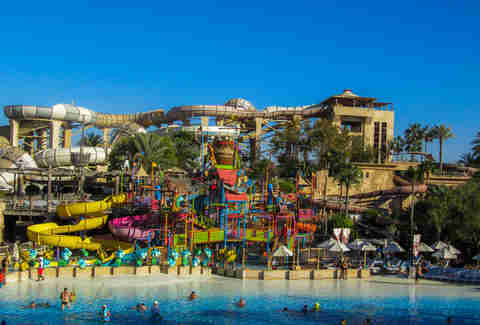 Equally as refreshing are trips down the 30 attractions at the Wild Wadi water park right next to the iconic Burj Al Arab. Lines to the top of the Burj Khalifa -- the tallest building in the world -- can stretch for hours in January; you’ll find them far shorter now. Emiratis are pioneers in finding air-conditioned ways to enjoy their country, and August is the best time to see why. Planning a trip for a different time of year? Check out our monthly travel recommendations for the best places to travel in January, February, March, April, May, June, July, September and December.